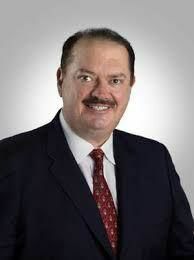 The Texas Attorney General ruled last Friday that the release of blood draw results taken from State Rep. Rene Oliveira after an April DWI arrest would interfere with the detection, investigation, or prosecution of a crime. A letter announcing the ruling from the Attorney General’s office arrived at the Cameron County District Attorney’s Office Monday afternoon and was provided to The Brownsville Herald Tuesday morning. Oliveira is charged with driving while intoxicated with a blood alcohol content greater than 0.15 percent, which is double the legal limit in Texas. The newspaper requested the blood draw results through a Texas Public Information Act request with the Cameron County District Attorney’s Office in late June. The DA sought an attorney general opinion on whether it had to release those results, citing ongoing prosecution of a crime. Oliveira has pleaded not guilty to the charge and in a motion hearing on Aug. 16, a judge ordered his bond of $2,500 modified to include multiple more conditions, including a vehicle interlock device. During that hearing, Assistant District Attorney Rehaman Merchant revealed in open court that the DA’s Office sought to modify Oliveira’s bond because of his alleged high blood alcohol content and drugs. Through a spokeswoman, the DA’s Office declined to describe what kind of drug or drugs Merchant was referring to, citing ongoing prosecution of a crime. The DA’s Office does not comment on ongoing, open criminal cases. The judge also granted a nine-page motion to inspect records related to blood testing, which seeks an exhaustive look at how Oliveira’s blood was drawn. That motion has been sent to the Texas Department of Public Safety for review. The alleged DWI occurred weeks before a runoff between Oliveira and Cameron County Commissioner Alex Dominguez to represent State House of Representatives District 37, a seat Oliveira has held for years. Dominguez won the runoff and Oliveira is finishing out his term.